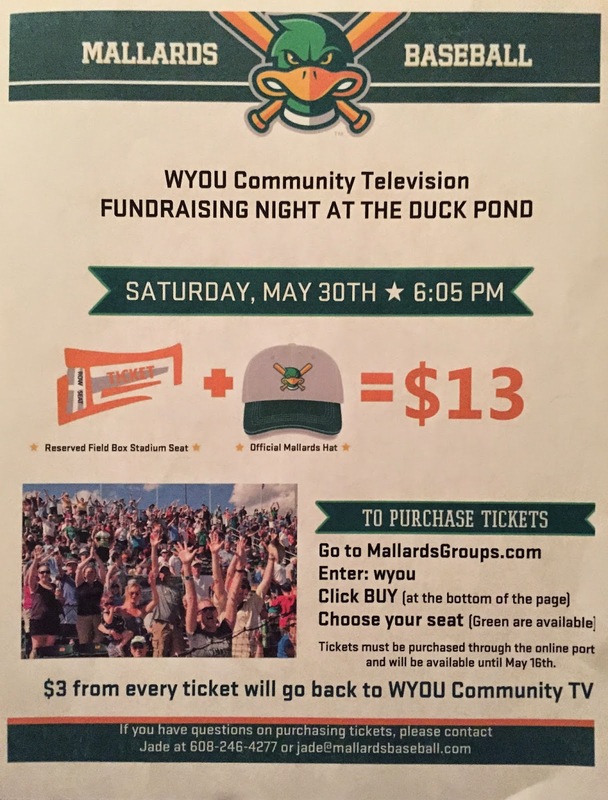 Join WYOU at the Duck Pond when the Madison Mallard's take on the Wisconsin Rapids Rafters. And stay for the Budweiser Post-Game Fireworks! CLICK HERE to purchase your tickets - enter: wyou, click BUY, and choose your seat.